Pinhole photography is an amazingly creative medium with deep roots in history and camera obscuras. Pinholes have been in use a long time, originating as perspective viewing devices as far back as 1425 by Filippo Brunelleschi. Camera obscuras are based on the pinhole principle – one example exists in Edinburgh, Scotland in a tower on the Royal Mile below the Castle. Some of the first pinhole photographs were made by Sir David Brewster in 1859. Surprisingly, from my Kickstarter experience, I have found many people have an interest in pinholes but have no idea what to do with a pinhole camera. So I thought I’d start a series of posts to show you and your children what a magical experience pinhole photography can be by focusing on one subject at a time. 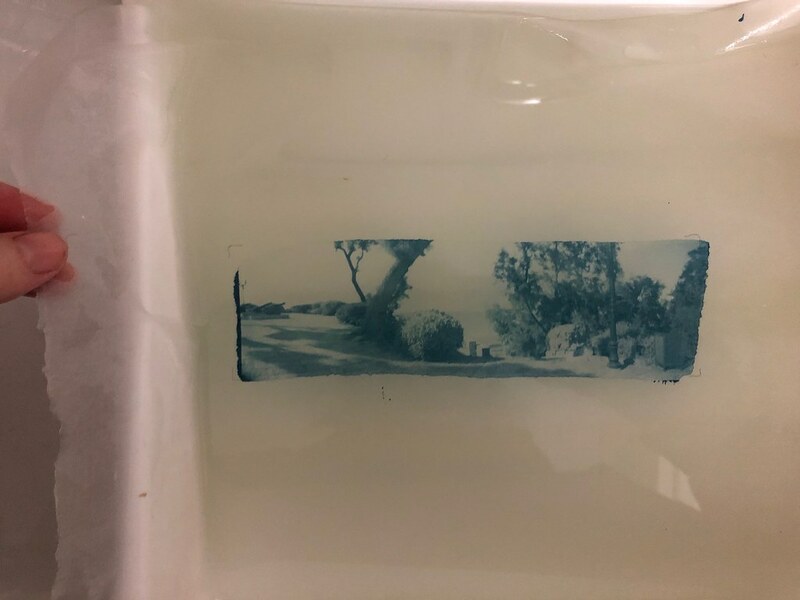 A little background – a pinhole camera is a box with a hole on one end and film on the other, and a bit of tape over the hole. That’s it. Point the camera, take the tape off for the right length of time, put the tape back on, develop the film, and you WILL have a picture. Everything else is bells and whistles added on. Flyer, my Kickstarter 3D-printed camera, is about as simple as you can get for 120 roll film. Pinhole cameras see water in an entirely different context than we see with our eyes. Since pinhole cameras have very small apertures and high f/stops, exposures are often seconds or minutes long depending on light. During that time, water keeps moving, either flowing in a thick milky stream or rippling in the breeze, or sometimes you are lucky to catch it flat calm with gorgeous reflections. Try taking pictures of water – children playing around a sprinkler, streams flowing around rocks, a flat calm lake, stormy waters, even a simple kitchen faucet. If you liked this post, be sure to subscribe at right so you don’t miss any!